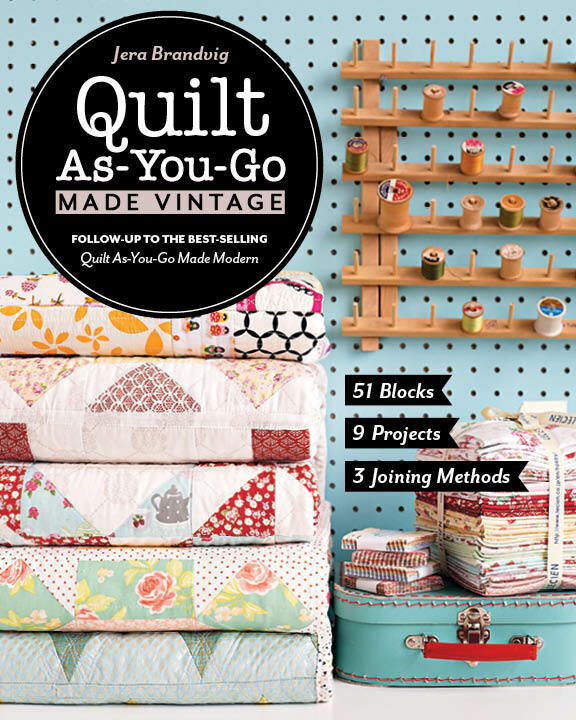 A couple days ago I announced a Quilt As-You-Go (QAYG) Quilt Along on Facebook and Instagram and got a pretty good show of interest (yippee!). I also got a handful of questions, so here is a quick post with what you need to know. How it works: We will QAYG together for 4 weeks. We will all quilt 5 blocks per week, for a total of 20 blocks. By the end of week 4, we will assemble our quilts! This quilt-along will start on Monday (October 13). I will do weekly updates on my blog with some helpful tips along the way (feel free to comment with questions as well, as I will be checking as best I can). Follow me on Facebook and/or Instagram for a live feed of this quilt along! Hashtag #QuiltAsYouGoMadeModern. I will also be making weekly blog updates. You will need the book, Quilt As-You-Go Made Modern. Don’t have it? You can quickly download it for your iPad/Kindle/nook HERE, or order a paperback copy HERE (if it’s not at your local bookstore!). 20 batting squares (13.5″ squares) – Batting details on the ‘Getting Started’ chapter of my book. About 14 fat quarters (or quarter yard cuts). Sizable scraps will be okay too! Thread – I like using a neutral colored thread. 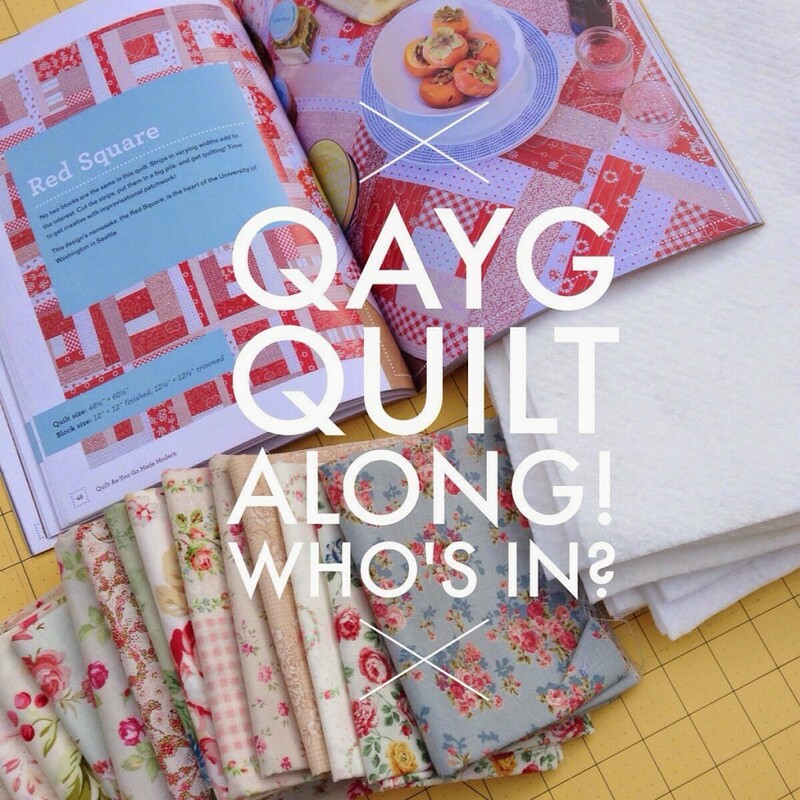 With QAYG, it’s easy to do a lot of intricate quilting since you’re quilting on small batting blocks. Neutral colored thread won’t compete with your fabrics. 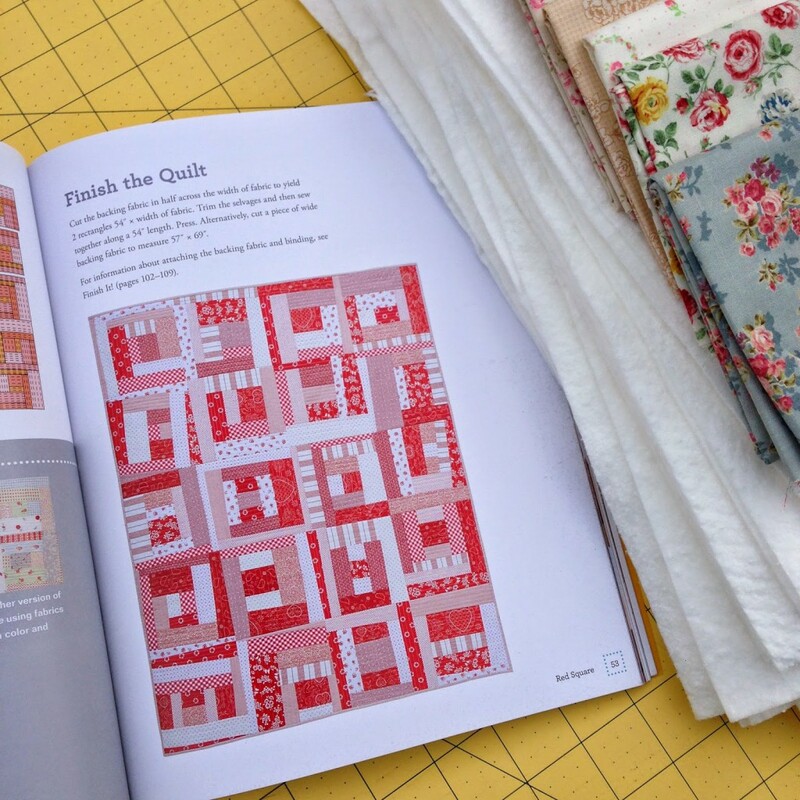 We will be working on my ‘Red Square’ quilt which is on page 48 of the paperback book. On the nook/kindle, just navigate via the table of contents. Please note that although the name is called Red Square, this does not mean your fabric has to be red. I got a few questions about this so I wanted to clarify. 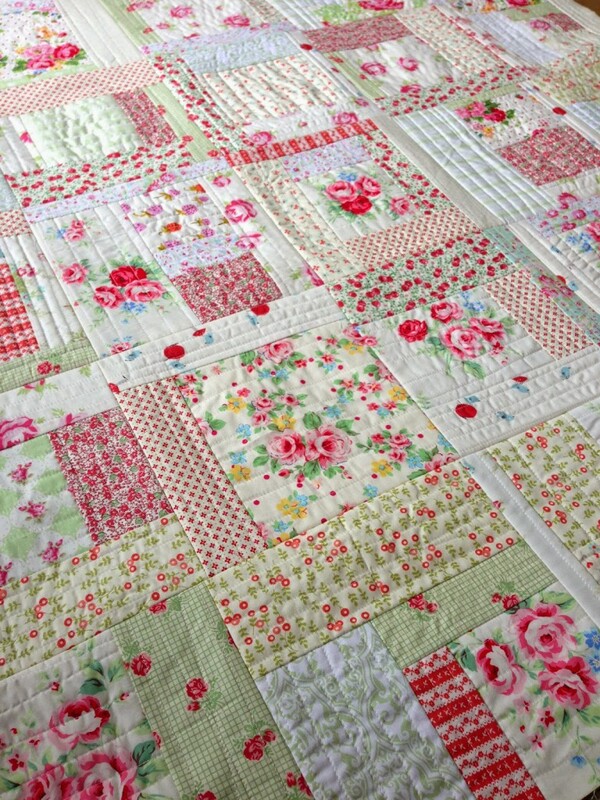 When choosing your fabrics, think about the overall look of the quilt. On the other hand, softer colors blend really well next to one another even if you have a lot of busy prints. 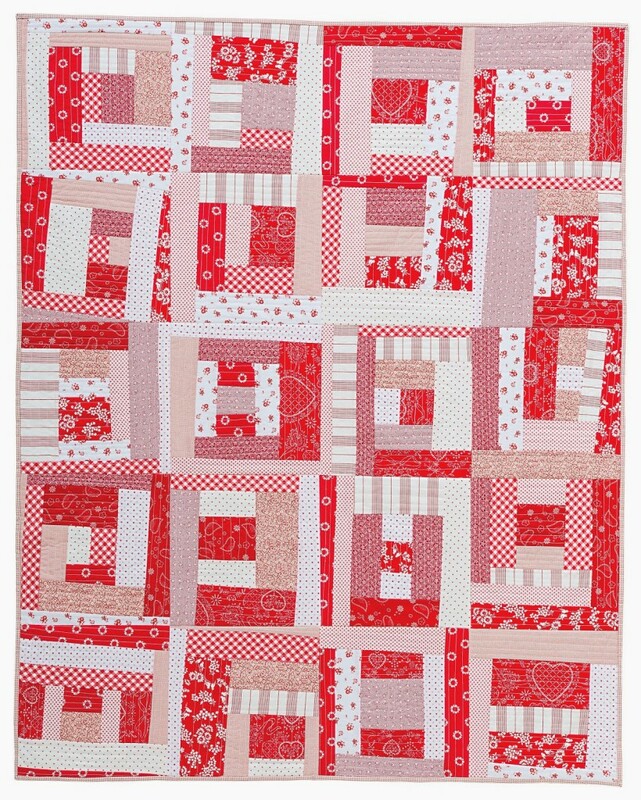 Below are a couple examples of my Red Square quilt using a softer, low-volume (i.e. prints with a lot of white background) color palette. Have fun with the fabrics you choose! If you have fabrics with detailed images, you can do some fussy cutting to frame the prints. (Fussy Cut: To cut pieces of fabric so that a particular part of the printed design is centered or featured). Above and below are a couple examples of fussy-cutting. Finally, remember that this is all for fun so enjoy yourself! Don’t feel bad if you can’t keep up with the 5 blocks per week. Life get’s busy (in fact I will be out of town for 2 weeks of it! but will find a way around it). You can always catch up at your own pace. QAYG is great for anyone with a busy schedule because it’s easy to start and stop. Anything left half done will already be quilted, making it easy to quickly pick up where you left off. This quilt along is a great way to get you started, and if you stay with it, you will see how practical it is to finish a quilt (from start to finish) on your own, even with a busy schedule! Have fun! I’ll be back next week with a blog update. In the meantime, follow me on Facebook and Instagram for a live feed of my progress, and I hope to share photos of other people’s progress as well. Hashtag #QuiltAsYouGoMadeModern or @quiltingintherain on instagram! 30 Responses to Quilt-As-You-Go Quilt Along! I was just looking at your book at my LQS, and I love it! 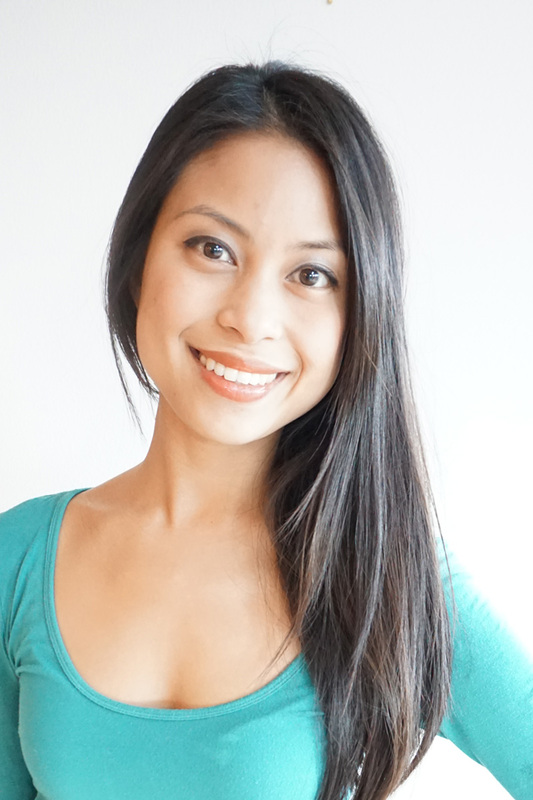 Then I read your blog today and realized that you were one and the same – author and blogger! I hope your QAL is a success! Hi Julie! 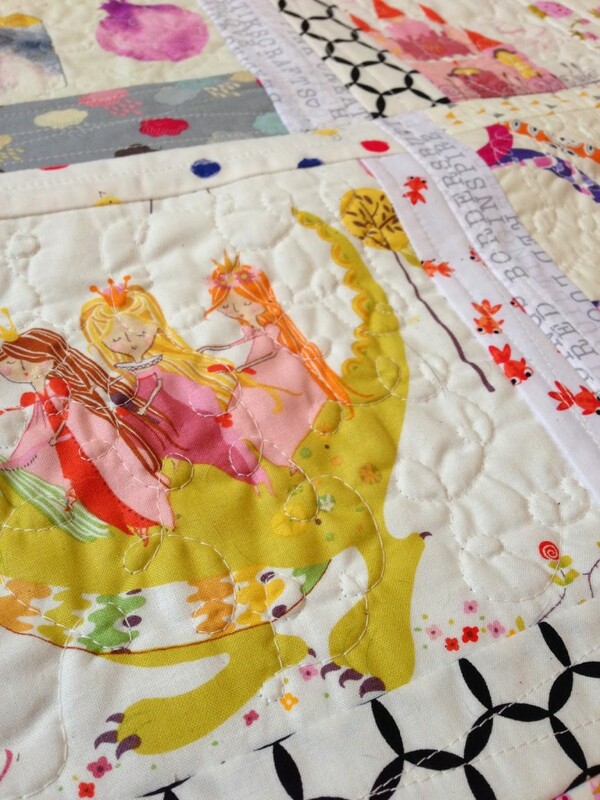 Thank you for your kind comment =) Take care and happy quilting! I have the book already, and it looks wonderful! You sure can – thank YOU! 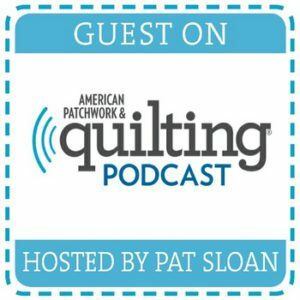 I would love to quilt along with you! My book should be here from Amazon any minute. Terrible at picking material so deciding on a FQB I love. This will be fun! 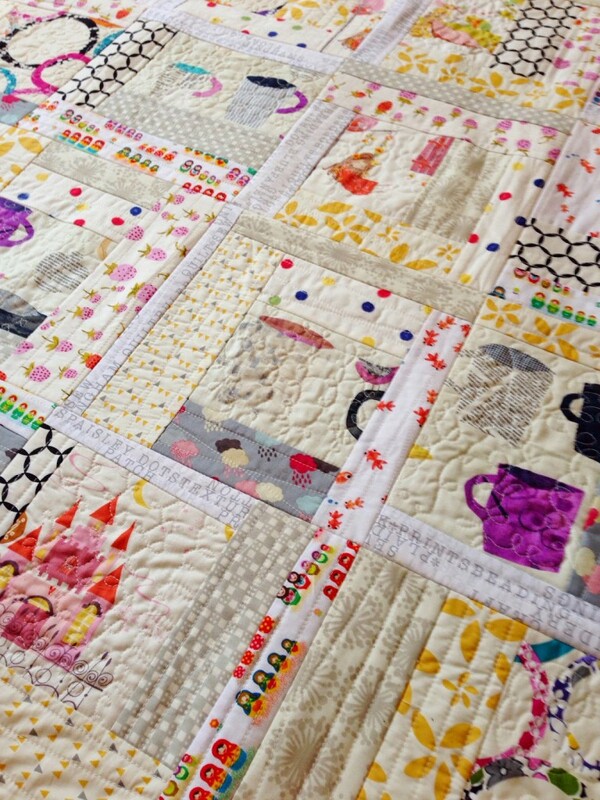 I am back to quilting because of this amazing group of quilters that are so awesome on IG! Can't wait. Feeling a little under the weather right now but may pull out a box of Christmas fabric to see if it will work. I would love to join the Quilt Along but my FM is still not very good. I would hate to waste all that fabric but I do love this pattern. I have some red and white 2 1/2 strips I have wanted to use. Would these work for part of the material? If I decide to try it. You do not have to do FMQ. Check out the "Quilting Techniques" section in the book. And yes, 2.5" strips will work! I'm looking forward to taking part and hoping I can keep up, Patti I bought Jera's book which arrived so quickly despite me being in the UK. It's my bedside reading at the moment, I also bought the kindle version so I could work from my ipad. Simply because I can enlarge the ipad screen. The only problem I've got is what colour shall I go with lol. I look forward to sewing with you ladies. I just got the book 🙂 Now to pick my fabrics! Good morning….do you have a tutorial for this on your blog? I don't have your book but would love to quilt along with all of you. Thanks for the help! Have a great day! I will follow along and learn more! Looking forward to this! 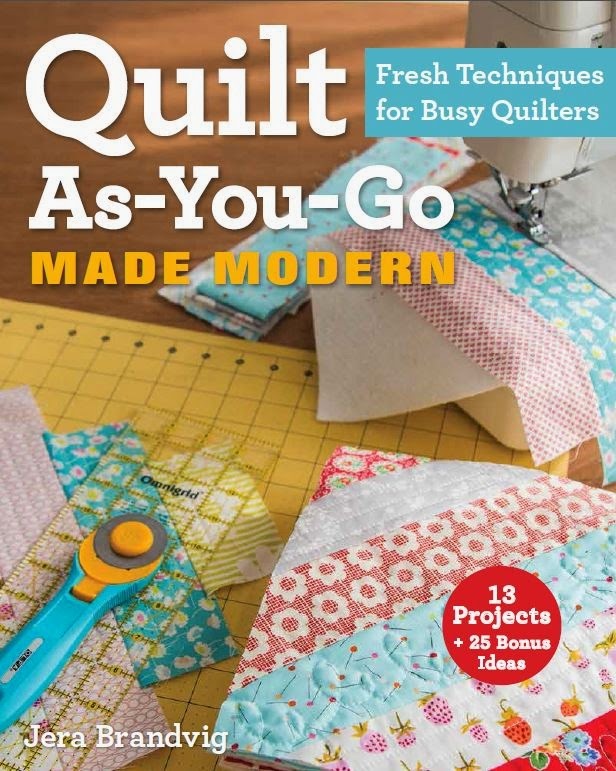 I just received my book in the mail yesterday – didn't realize there was a "quiltalong" going on! How exciting! 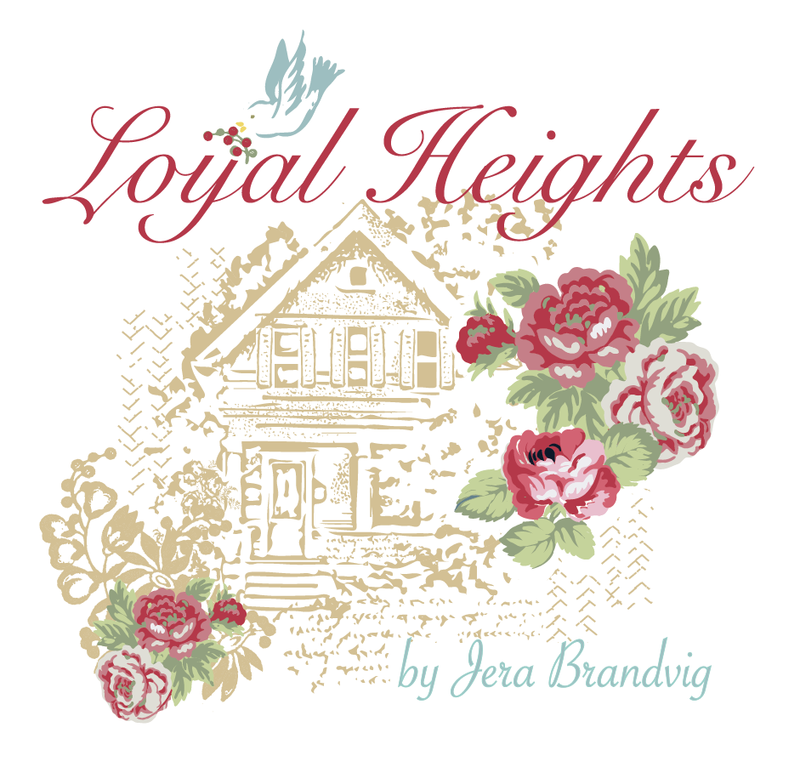 Love the book, by the way, and for you ladies that haven't gotten yours yet, Connecting Threads is having a 40% book sale… and they ship quickly. (Hope that was ok to mention, if not, please just delete my comment and accept my apologies) Can't wait to start! 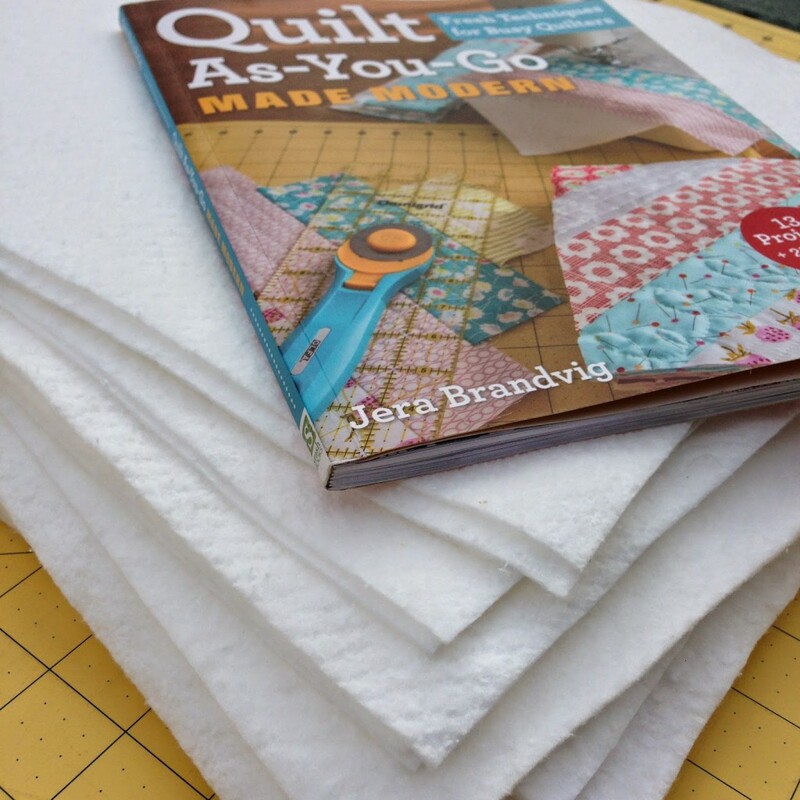 Love the book ~ I think I might try this QAL! 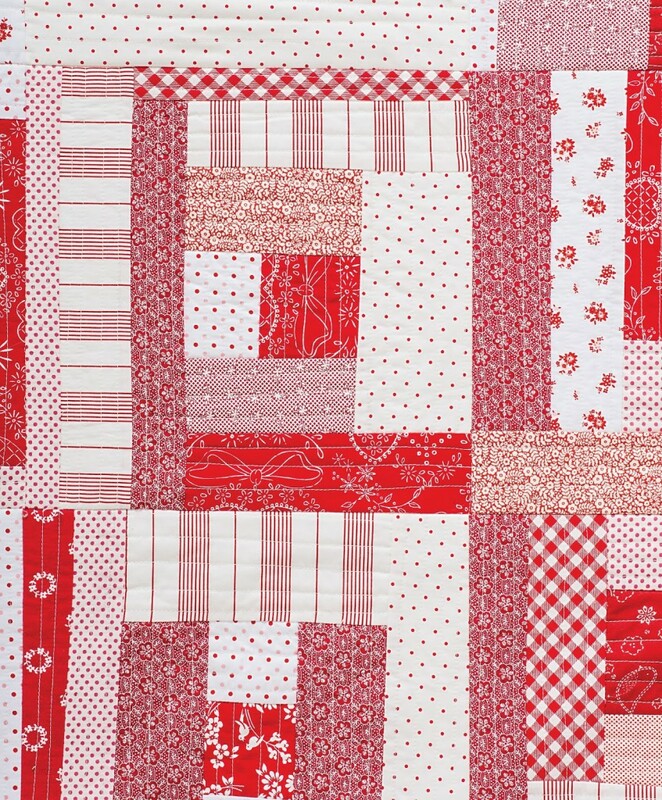 One question ~ I have a jelly roll I'd like to use, so I was wondering if I could do the regular Log Cabin version? Absolutely! in fact that's kind of what i'm doing. I really, really, really wanna join this quilt a long but I have a gazillion ballard blocks from your wonderful book to finish for my daughters King size bed 🙁 … Oh I just pop in to ooh and aaah at your beautiful creations then 😀 I am enjoying my qayg adventure here, love your book! Hi Zura! 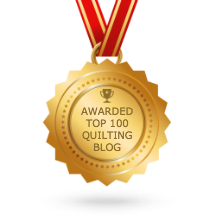 I'll have the quilt along on my blog with links referring back to each week when it's finished if you ever wanted to go back and do it later. Happy to hear you're working on ballard blocks!! Hi fiends, friends and fellow addicts. I'm so excited to have stumbled here. I'm joining a little late so hopefully I can catch up. I'm trying not to spoil the "mystery" (how these "pre quilted" blocks are put together with the quilt back) by reading ahead in your book, Jera. I'm working on a few other quilting projects as well as batiking and playing around with fabric design and manipulation (small taste here: http://www.pinterest.com/stitchhip/my-batik/). 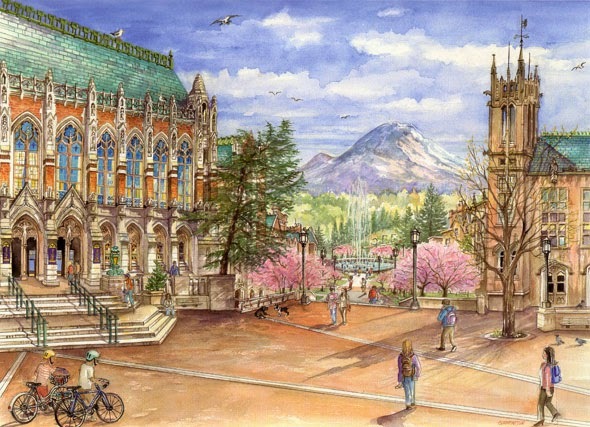 So, this is a great place for me because I have a "deadline" each week to produce five blocks. I'm so excited to see what you all come up with as well as checking out any of your other creative and inspiring works. Please share, here, pinterest pages, facebook, ??? You can download it is a kindle book. If you don't have a Kindle you can dowload the free reader program for your computer. although i have a kindle, i love to be able to hold books in my hand when used as a resource. so i'm on the "will be shipped" when more become available list. looking forward to amazon getting it out as soon as possible. Arriving a bit late to the party, but now that the holidays are over, I have some more time to start new projects. I love this method! Way back in the 70's there was a book about QAYG doing handstitching, but I like your method so much better! I love, love, love, the fabrics in the low volume quilt, especially the greens, which surprises me, because I don't usually feel the love with green fabrics. Are they from any particular collection or manufacturer, or were they just hanging in your stash? 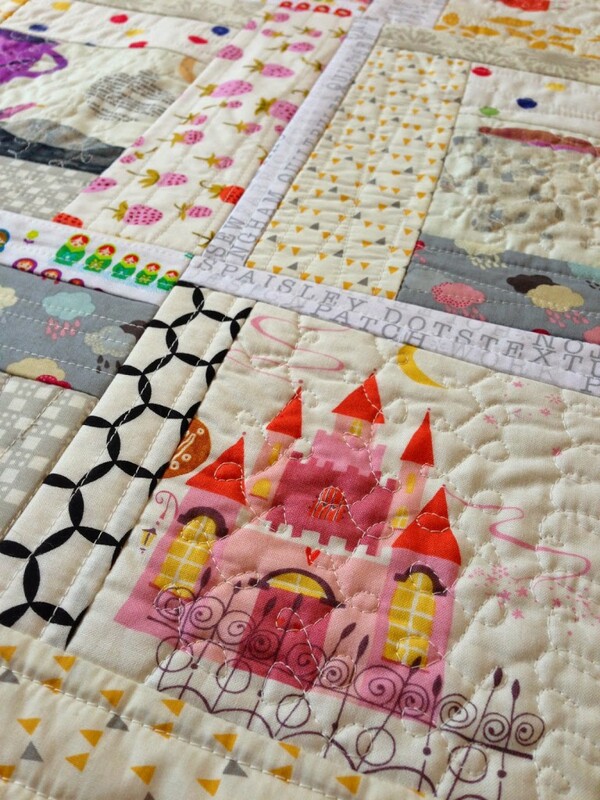 where’s is your tutorial for the triangle baby quilt?